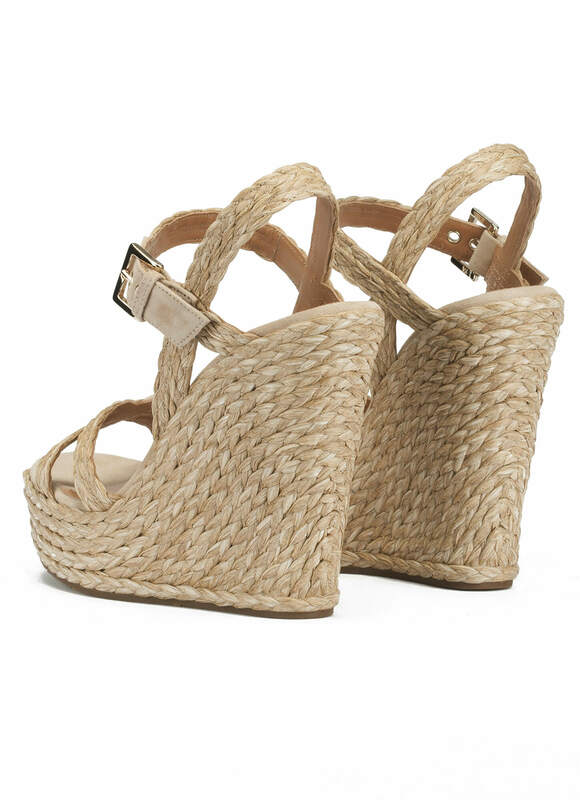 Olivia sandals are crafted from taupe braided raffia and matching suede. 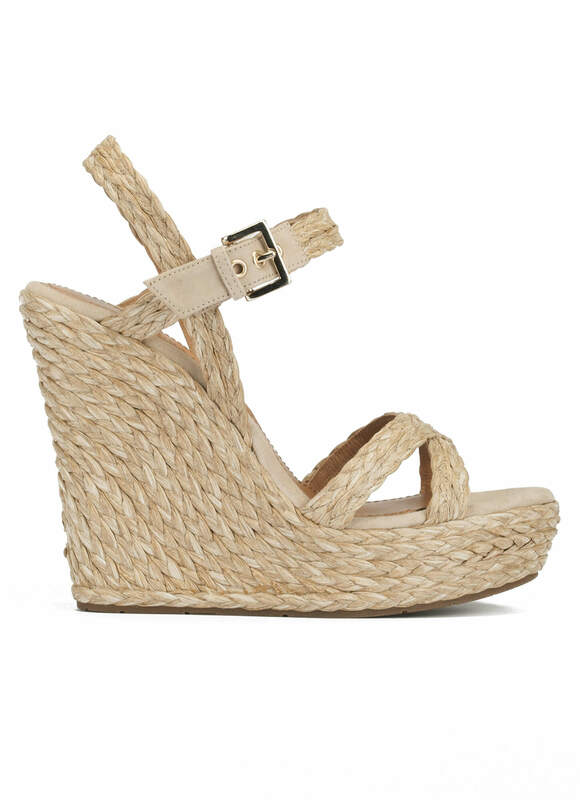 This style is set on a 12,5 cms wedge balanced by a 3,5 cms platform, making it perfect for long-day events. Taupe raffia and suede upper. Reference: AO600R Trenza Rafia Taupe.